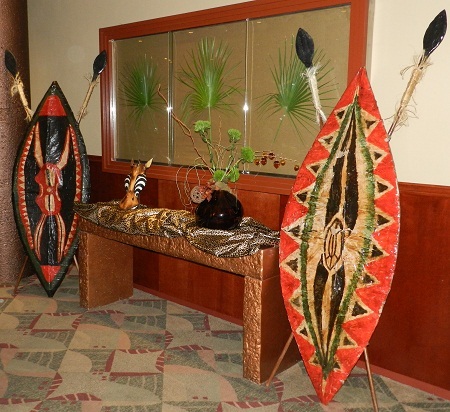 We have a selection of authentic looking reproduction 6' Zulu Warrior shields for rent at your Safari of African themed event or party. 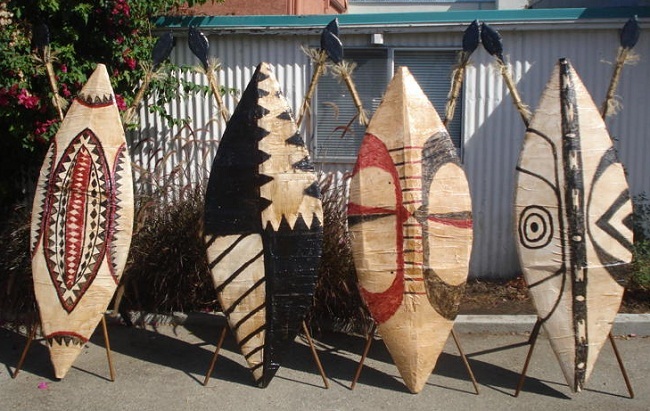 These Zulu shields are mounted on 7' African warrior spears and are free standing like an artist easel for decorative display. Call us for rental or purchase pricing.